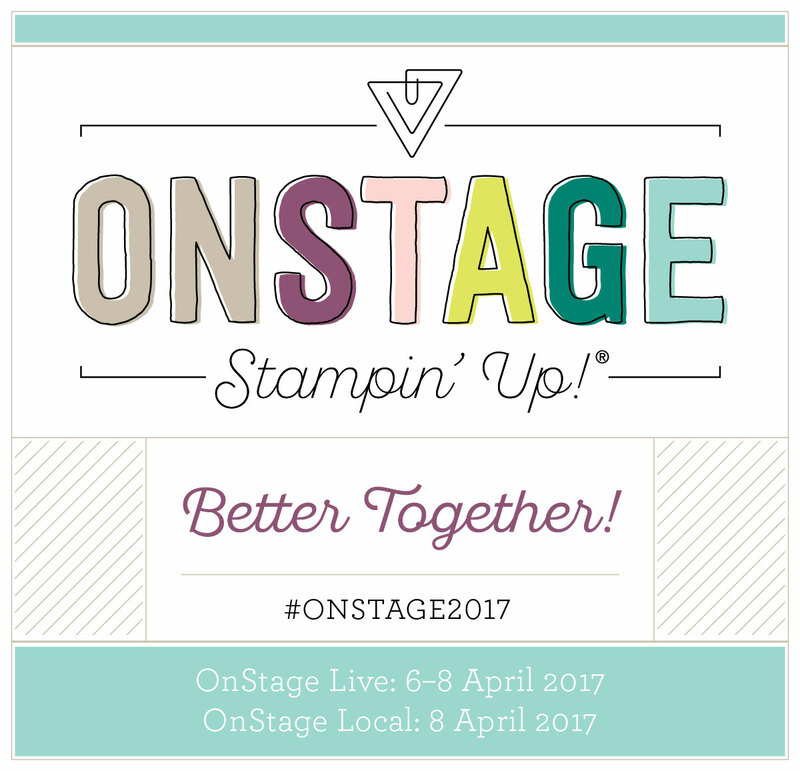 I'm just about coming back down to earth from the fabulous time we all had in Amsterdam at On Stage Live. The Onstage Live event is bigger than the local ones held in the U K that I have attended before. 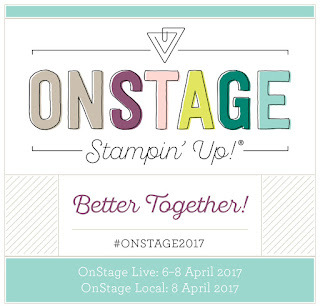 Stampin Up move the Live event around the world every 18 months and this time it was Europe's turn to have it. It was AMAZING! Stampin Up's conventions are so much fun. Its done very well and we are so well looked after. 830 demonstrators from across Europe attended this event at the RAI centre in Amsterdam. With a few from Australia, Canada and the States too. It was a three day event and was fun filled. On checking in to the event you are given your badge with your name and where you are from etc. You also receive your convention bag. It contained a coloured badge with a symbol on - this came in handy later on for prize patrol! It also had a planner inside, an itinerary for the three day event, two Stampin Up pens and a cute little case of post its for the planner. We also got a fabulous stamp set from the brand new Annual Catalogue! There are lots of reasons to attend an event like this. We get to see and take home a copy of the upcoming Annual Catalogue, we get to see the products in it showcased and we get to play with them too. We also see and play with the new 2017-2019 Stampin Up In Colours. I love, love love them! We also get a Pre Order perk. We get to order some of the items before any one else which gives us more time to play and prepare before the catalogue is launched to the public in June. Onstage is also all about recognition. So Demonstrators who have reached milestones are celebrated and recognition is given. Everyone cheers for accomplishments small or large. We run in teams and there is always a lot of team spirit! 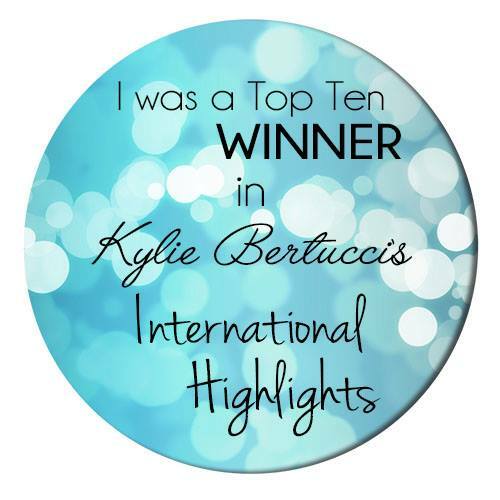 Thanks to my lovely customers and those who come to my classes I reached Silver in January! Freebies are of course not guaranteed but at the On Stage events I have been to they have run Prize Patrol randomly throughout. You "win" a free stamp set if your badge icon is displayed. Everyone loves to get brand new goodies that have not been seen before and its always fun to see what you will get. We were also treated to an all attendee give away at the end of day 3. A fabulous stamp set. I love it! Demonstrators from all of the countries attending were chosen prior to the event to show case and demonstrate products. The ideas were amazing and it was great to hear about what had brought each of them to Stampin Up. Going to events like these means we get to get together. 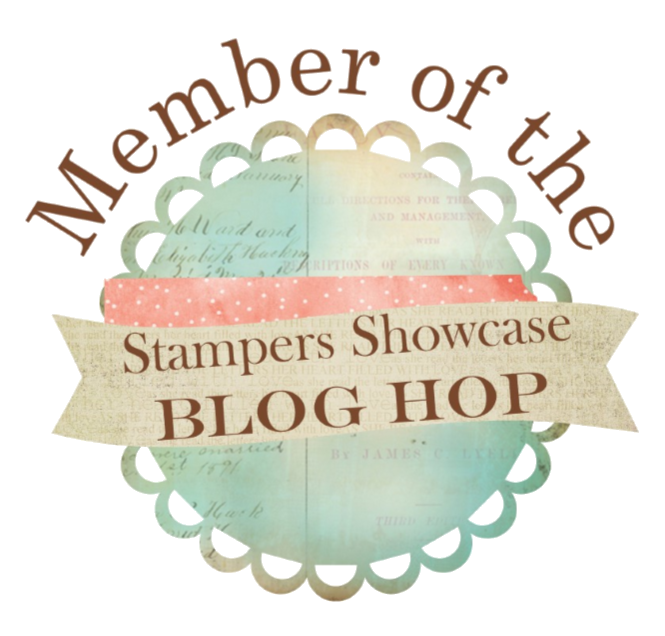 Stampin Up is a huge community of like minded crafters. Social media makes the world a much smaller place and we talk all the time and share ideas and creativity but its fabulous when you get the opportunity to get together and have fun. I've made so many like minded friends through Stampin Up its great to catch up with them and make new ones. We all booked our own hotels, most of us shared with friends and we congregated together walking to the conference centre, at meal times and in the evenings. My friend and I even made friends with a couple of demo's on the plane! I am not sure how many photographs I took. Hundreds possibly. I've been very careful not to have any of the new products or the catalogue on show in my pics. Wouldn't want to spoil any surprises! This video shows some of the awesome swaps I received at the event! I am part of a lovely team of demonstrators and some of us went out to dinner on Friday evening. we had an amazing time. Our team leader had invited some very special demonstrators from the States and it was just lovely to meet them and to get to know them. She had also prepared us table gifts too. She is just so generous and thoughtful. Pop back to my blog over the next few days as I will be sharing more about the swaps I received and the lovely swap and gifts from my team leader. You can click the subscribe button if you don't want to miss anything. Fun photos with Stampin Up friends and Stampin Up CEO Sara Douglass and Training and Curriculum Developer Brandi Bernard. 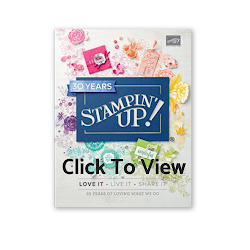 The new Annual Stampin Up catalogue is awesome. I cannot wait to share it with you. It goes live on June 1st. My pre order arrived today and I will be very busy making samples for my catalogue launch party on June 2nd. The pre order period for the demonstrators who couldn't attend the On Stage event starts very soon . I imagine by then I will be adding in another order of my own. Its a great job to have!! And of course I get a great discount too. You can of course join Stampin Up too. You can use it as a business opportunity, Its a great working form home job or you can be a hobbyist. you don't have to sell or demonstrate to anyone! But you still get all the perks and the discount! It is a great deal. Choose £130 of any products you like and only pay £99 and P and P is free too! Not much money for a lot of products, discount and perks. You get to join this amazing crafting community too. This is a great time to join. you know why? You can choose all your items from the new Annual Catalogue right now! Way before anyone else in the general public can!. How cool is that! If you are interested, please get in touch. I have both business and hobbyists in my team and I would love to have you! Oh how I would have loved to be there - Sydney was great but Amsterdam would have been amazing!